After lot of discussion Income tax department has finally released Income tax returns ITR forms for the assessment year 2015-16. As per the new directive, this year Income tax assesses have to file Income tax return on or before 31st Aug, 2015. Income tax returns for 2014-15 (Assessment Year 2015-16) were primarily released by the government in April, 2015. However due to certain complication in these forms there was a strong resistance from tax payers & it was finally decided to simplify these forms by the government. You can download Simplified ITR-1, ITR-4S from Income Tax website. This form is available in excel format and Java based utility format. Java based utility will work only with Java Runtime Environment version 7 Update 6 or above (JRE1.7/7). 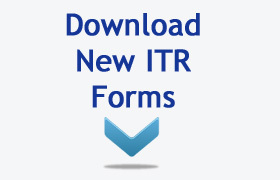 Download link for ITR-2, ITR-2A is yet not enabled on Income Tax site, however you can download these forms from below link. 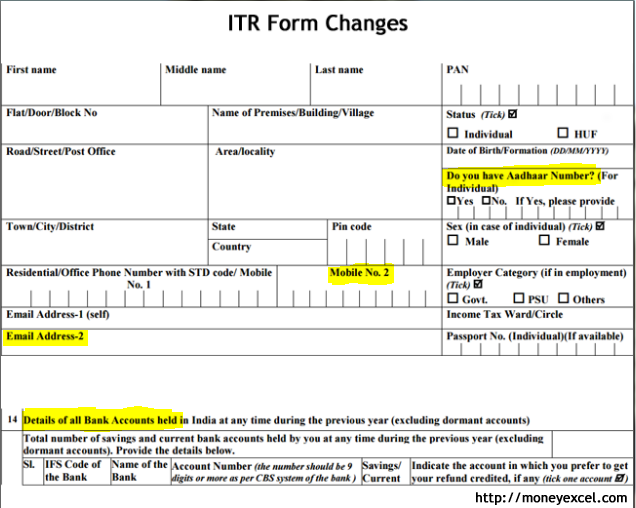 No major changes in ITR-1 Form. ITR-1 is applicable to Salaried Employees having income or loss from only one house property. E-filing is mandatory in case of refunds. Return will not be accepted in the physical copy in case of refund is claimed. Income tax assesses have to give information about total number of saving and current account held by them at any time during the previous year. Following additional field are addedinITR form. In the new ITR-2 form for individual and HUFs having income from business and profession will have to declare about foreign assets or any income outside India. Simplified form ITR-2A is applicable to an individual and HUFs who do not have any income either from business, profession or by way of capital gains and do not hold any assets in foreign.